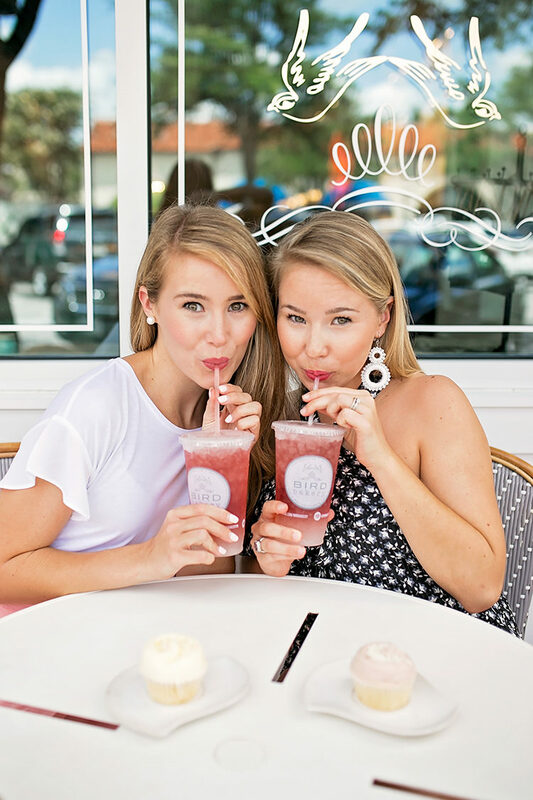 sister day with LOFT | come meet us! “Do you have any siblings?” is one of my favorite questions, and whenever it comes up, I genuinely laugh. Because, yes… yes, I do. A sister, in fact. Three years younger. Complete opposites in just about every way. Lifelong best friends who couldn’t be closer. We joke that she keeps me fun, and I keep her out of (too much) trouble. It’s a hilarious mix, and one I wouldn’t trade for the world! And when I say hilarious, I mean that every single time we are together, something absolutely absurd is most likely going down. 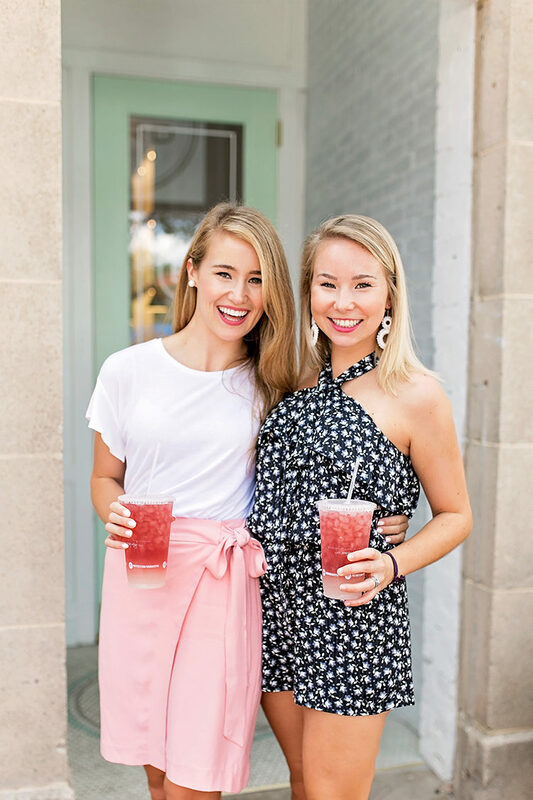 You’ve seen Steele around Lonestar Southern a few times here and there, and I’m so excited to feature my other-half in celebrating Sister Day with LOFT on the blog today! One of the many areas in which we are vastly different is style. 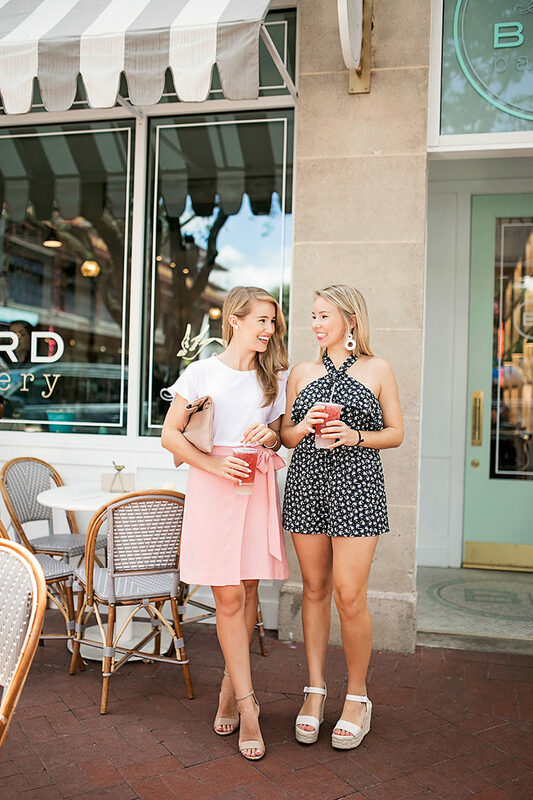 Steele has a knack for putting together cool, on-trend outfits, while I gravitate more towards classic, feminine, preppy looks. Even so, we were both able to find outfits that embodied us at LOFT. 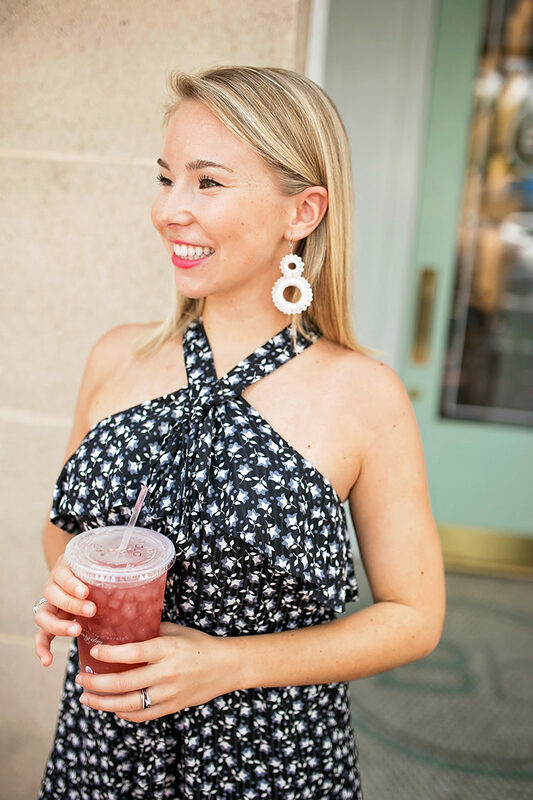 Steele chose this adorable halter neck romper and paired it with fun statement earrings for an ensemble she can take straight back to college with her this fall. I love how fun it looks, with the ruffled top and waisted silhouette. I loved the pale pink shade of this feminine wrap skirt, and paired with this lovely little flutter sleeve top. While I typically prefer shorter hemlines that compliment (and don’t swallow) my short frame, I found the length of this skirt to be so refreshing and ladylike. I can’t wait to pair this top with jeans and riding boots for a go-to look this fall! Now, for the fun part! I am thrilled to announce that Steele and I are hosting an event this evening at LOFT! What: Bring your sister (biological, sorority, etc) and come shop with us and enjoy giveaways from Rifle Paper Co, Pressed Juicery and more! Thank you, LOFT, for sponsoring this post! I wish I lived in Dallas so my sister and I could come shop with you! You seem like a fun person to shop with. I’m so happy and blessed to have two sisters. Sisters are fun! I love this post! My sister and I are the exact same way as you and your sister (with less of an age gap!) I can’t wait for all the adventures we’re going to have in the future. Also—adore the outfits! Might just have to check out LOFT. My sister and I are the exact same way as you and your sister (with less of an age gap!) I can’t wait for all the adventures we’re going to have in the future. Also—adore the outfits! Might just have to check out LOFT. By the way, these photos are gorgeous and so fun! These photos are so adorable!! Sisters are the sweetest blessing :) Hope y’all have so much fun hosting the event together! Aww you and your sis are the cutest!! This is so fun :) My sisters and I are best friends so I love hearing about other sister relationships!